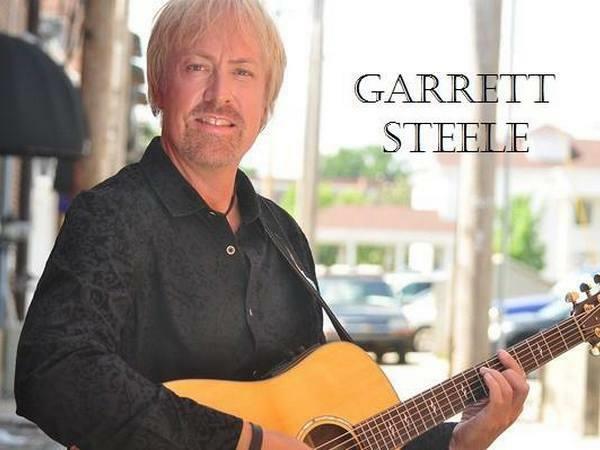 Join us this week as we welcome country music singer songwriter, Garrett Steele. Originally from West Texas, Garrett Steele currently resides in Nashville, TN. On stage, Garrett’s distinctive performance style connects him with his audience, allowing his true passion for his lyric’s and music to shine through. Garrett will tell you, “I love playing for people and sharing my music with them, that’s what it’s all about!” It’s that simple; a man who sings from the heart, singing music that people long to hear. His most memorable performances have included sharing the stage with John Prine, Steve Wariner, Stephen Curtis Chapman, Roxie Dean, Jim “Moose” Brown, Gary Tally, Brent Mason, Dean Hall, Dave Salyer, Wynona Judd and Dolly Parton. Garrett’s 5 track EP sets the cornerstone for a career being built on meaningful songs. Recorded at Ocean Way Nashville, the Sound Shop, Omni Sound Studios, and Blackbird Studios. Garrett recently garnered a top 5 nomination for the Nashville Universe Awards for Song of the Year with "The Suitcase". Also, he is part of the pro angler duo, Crappie Country, promoting country music and fishing and family fun. We will talk to Garrett about his upcoming schedule, get a behind the scenes look at his music, feature his latest songs, and ask him to share his message for the troops. Please be sure to visit Garrett Steele at www.garrettsteele.com/ and spread the word. Fans are welcome to call in and speak live with Garrett during the show (718) 766-4193. If you would like to participate in the live chat during the show, you must sign up on the show site first and then log in during the show. And as always we will give shout outs to our deployed military listeners. Be sure to join us, Sunday 5/31/2015 at 4 PM EDT! Our message to the troops....WE do what we do, because YOU do what you do.